Culture Wars investigates the relationship between the media and politics in Britain today. It focusses on how significant sections of the national press have represented and distorted the policies of the Labour Party, and particularly its left, from the Thatcher era up to and including Ed Miliband’s and Jeremy Corbyn’s leaderships. Revised and updated, including five brand new chapters, this second edition shows how press hostility to the left, particularly newspaper coverage of its policies on race, gender and sexuality, has morphed into a more generalised campaign against ‘political correctness’, the ‘liberal elite’ and the so-called ‘enemies of the people’. 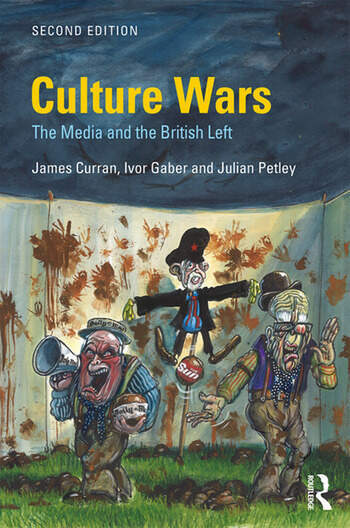 Combining fine-grained case studies with authoritative overviews of recent British political and media history, Culture Wars demonstrates how much of the press have routinely attacked Labour and, in so doing, have abused their political power, distorted public debate, and negatively impacted the news agendas of public service broadcasters. The book also raises the intriguing question of whether the rise of social media, and the success of its initial exploitation by Corbyn supporters, followed by Labour as a whole in the 2017 General Election, represent a major shift in the balance of power between Labour and the media, and in particular the right-wing press. Culture Wars will be of considerable interest to students and researchers in the fields of media, politics and contemporary British history, and will also attract those with a more general interest in current affairs in the UK.